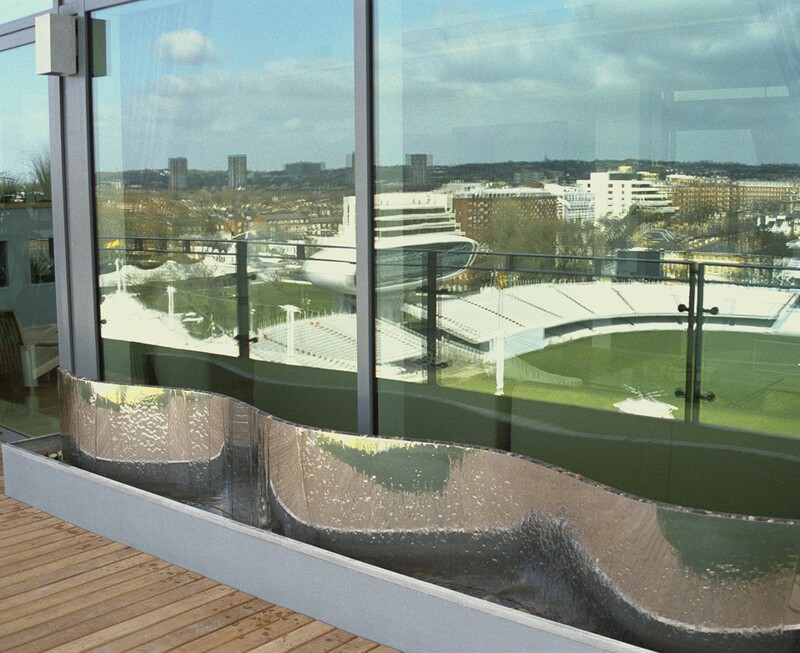 The main terrace overlooks the cricket ground at Lords in north London. 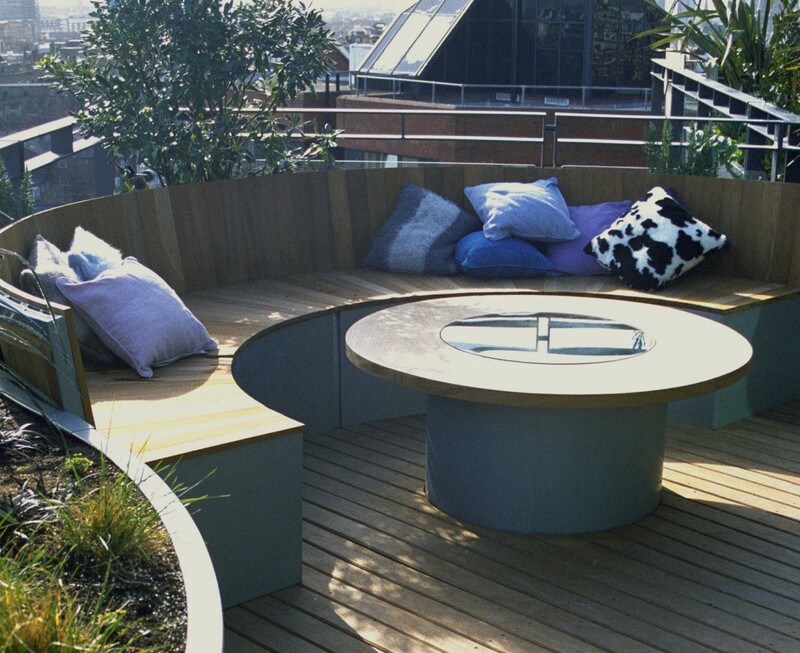 Both bedrooms and living spaces lead onto it so I divided up and defined the space with planted screens. 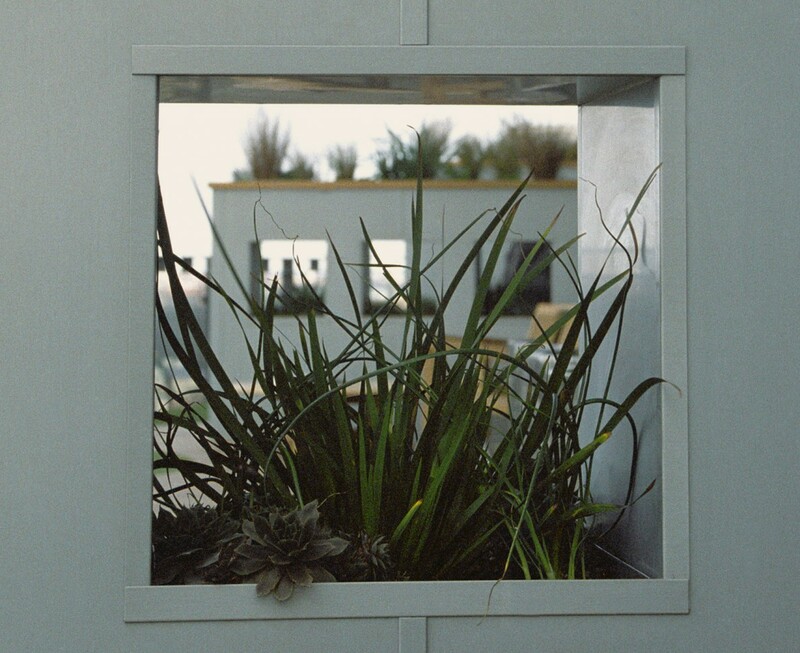 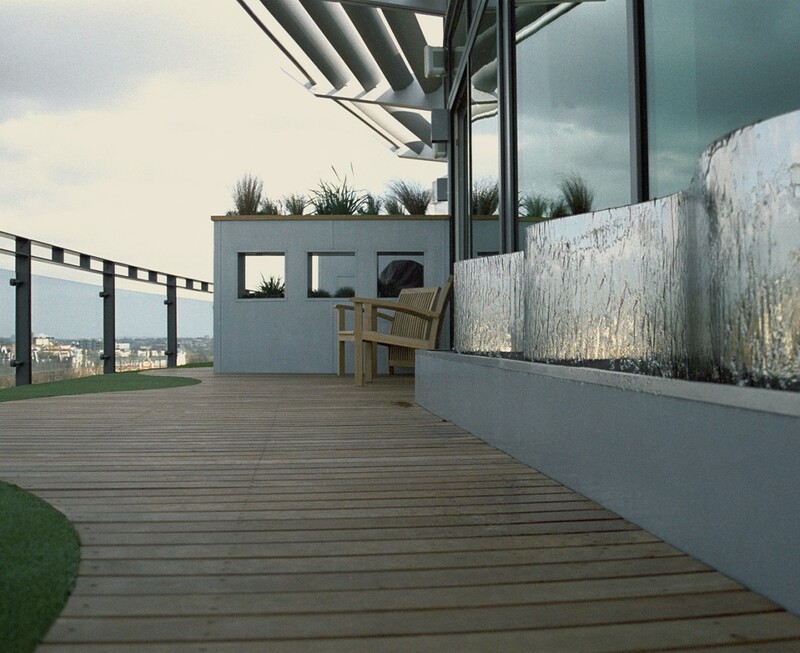 The apertures make windows which frame the views beyond and most importantly filter and slow down the wind on this exposed roof top. 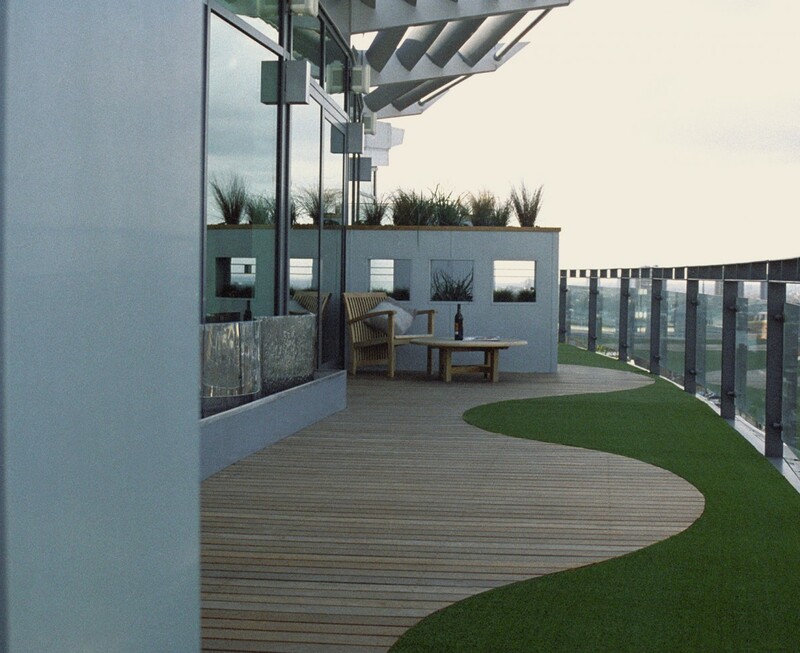 Artificial grass injects greenery into this otherwise grey environment and makes a strong visual link with the pitch below and the meandering curves lead the eye along the terrace. 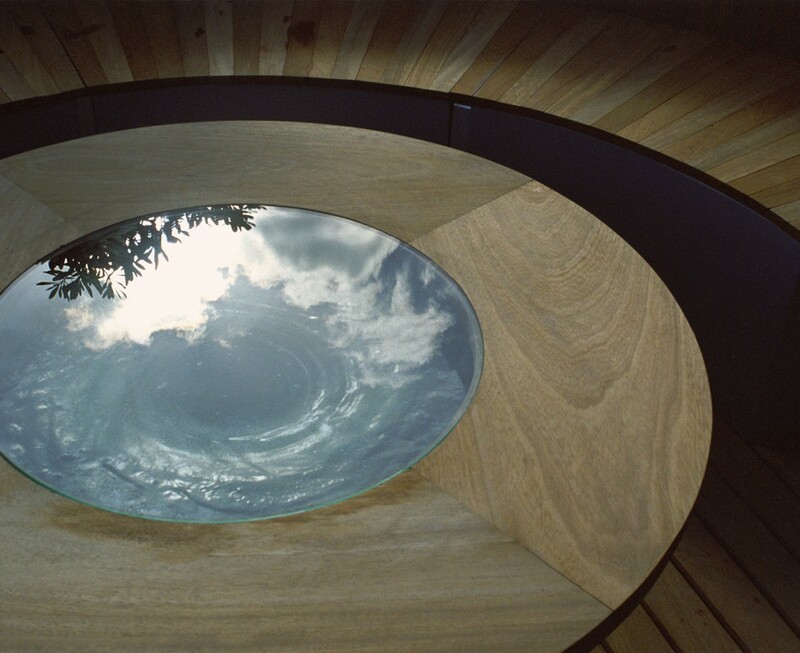 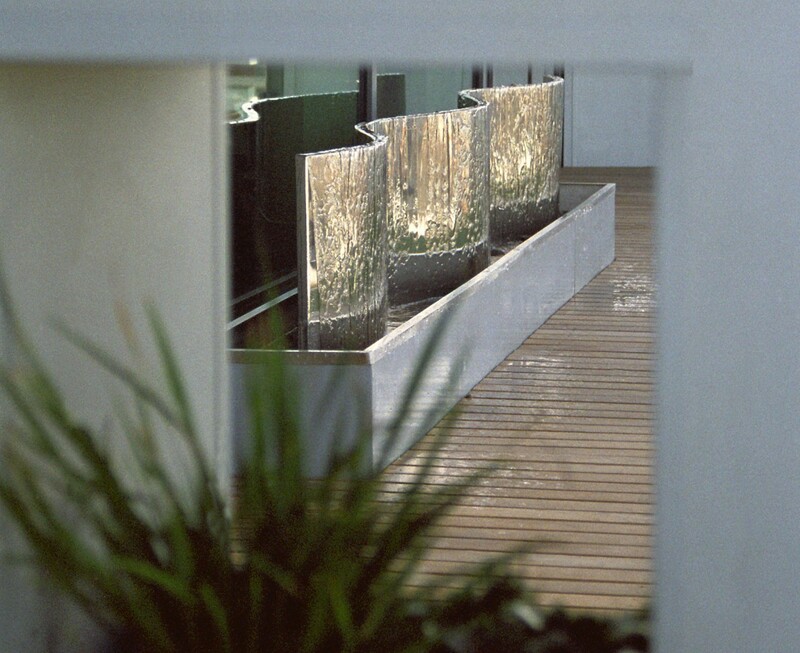 At the rear a curved bench overpowers the awkward shape of the terrace and the bespoke table has water swirling round beneath a glass top which reflects the sky and is illuminated at night.